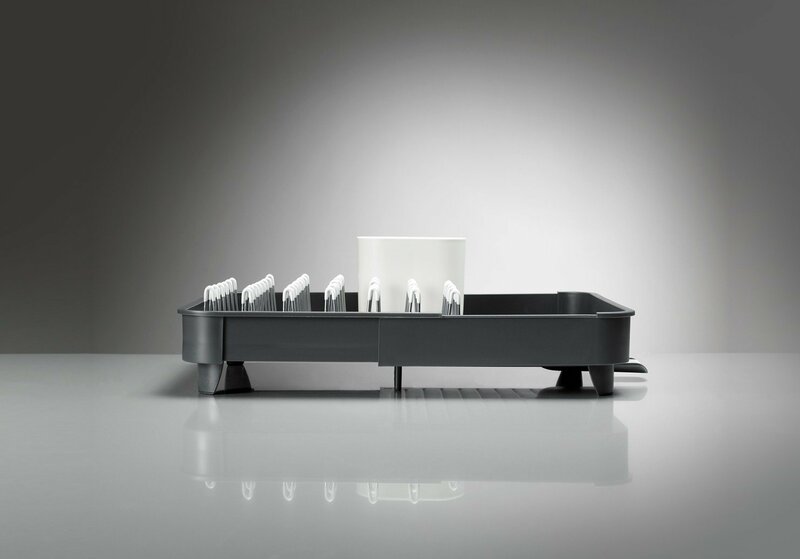 With two smaller dish racks in their range, Joseph Joseph asked Studio17 to develop a larger product for family sized washing up. 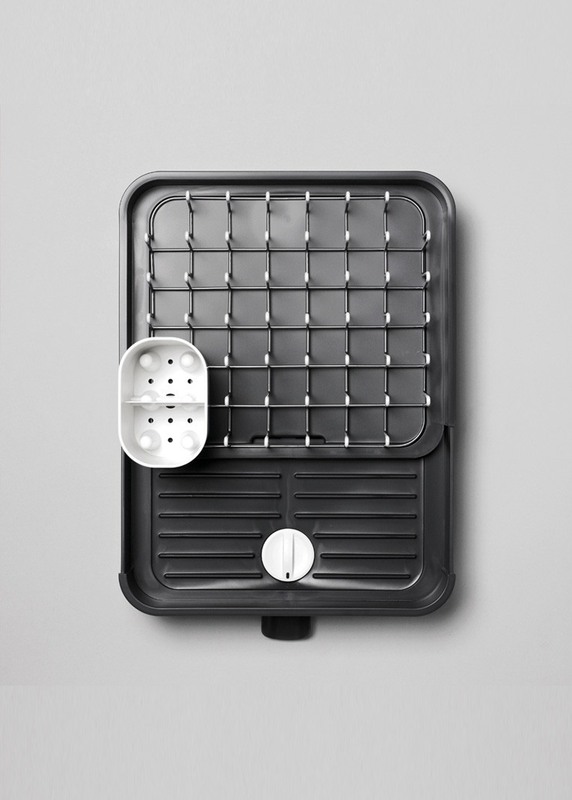 Most family sized drainers are large and imposing products, with an incongruous collection of pull –out drip trays and glass holders, dominating the sink side. 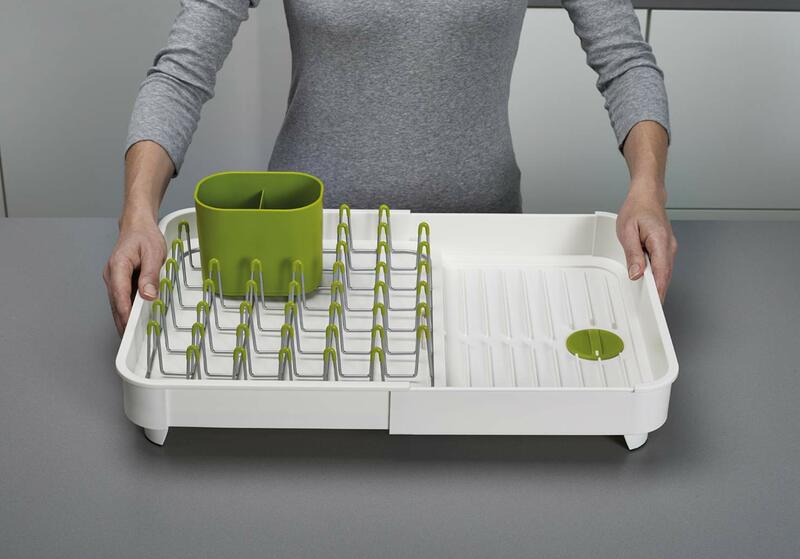 Studio17 sought to simplify the notion of an expanding rack, whereby the entire rack expands to suit the space and amount of dishes. 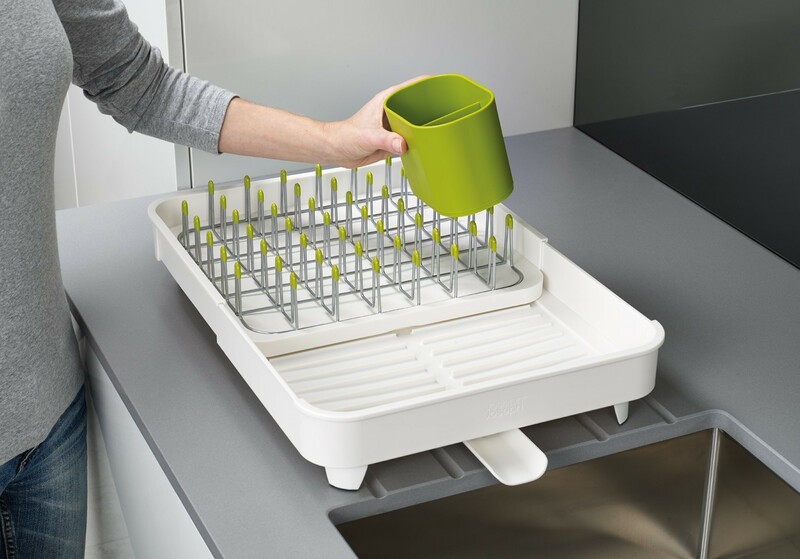 A simple slide action can almost double the space inside the drainer. At one end, an array of wire prongs provides a universal method of supporting crockery, with soft dip-coated tips to prevent chips. 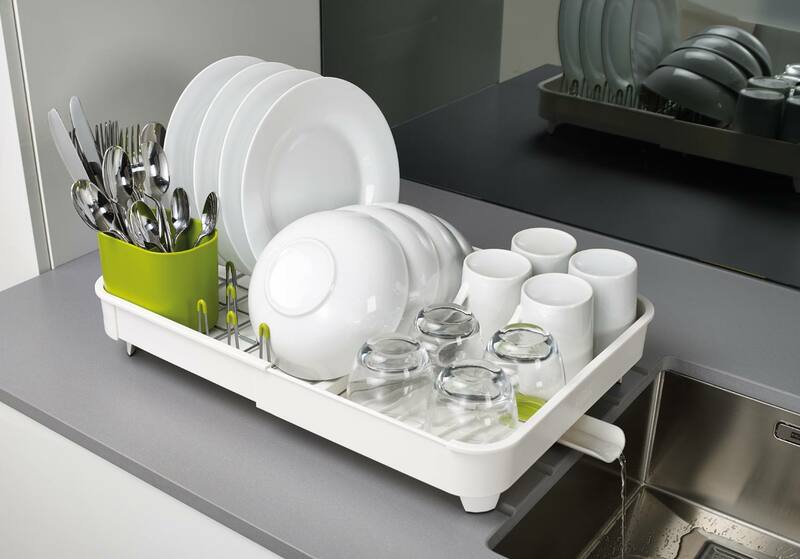 A removable cutlery pot can be plugged in anywhere in the prong array allowing the user to customise the space. To provide total flexibility, the drainage spout can be set to open or closed, via a simple internal dial. The dial causes the spout to rotate in or out, as a visual indicator for each setting. With the side walls of the product overlapping, a continuous outer rim is preserved at different extensions for a consistent appearance. Relatively shallow walls prevent the product from being visually domineering, allowing the more delicate wire work to be easily visible. 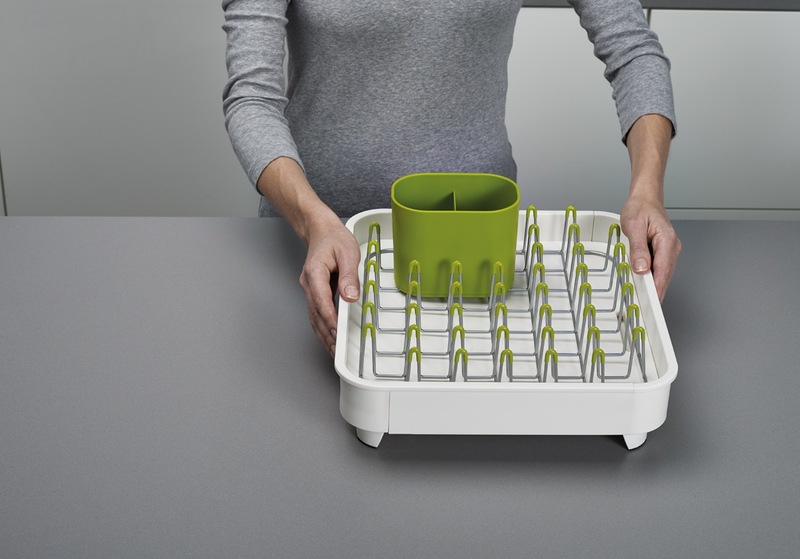 The tips of the steel rack are PVC dipped, heightening the graphic repetition. 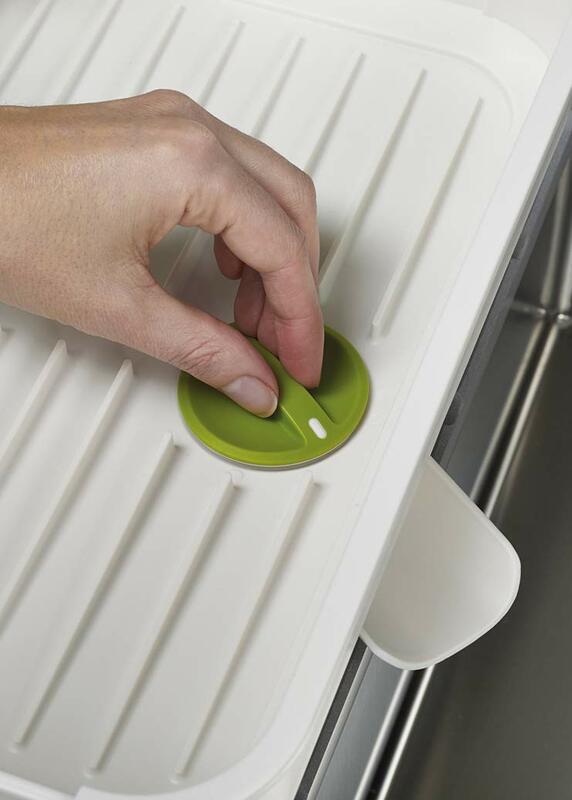 Each element of the product, including the spout and plug can easily to disassembled for thorough cleaning. Sold globally in two colours.